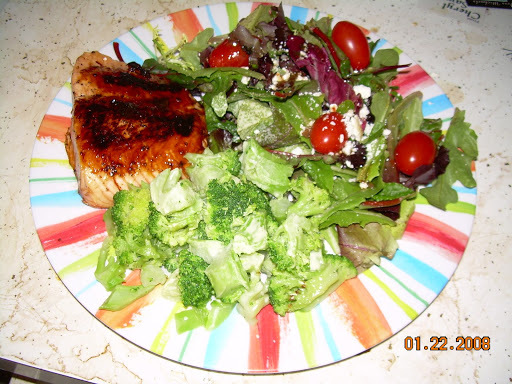 I had Roni’s Quick Sweet & Tangy Salmon for dinner tonight and it was delicious! I had it with a side salad w/ portabello vinaigrette & steamed broccoli. I’ll definitely be making this again.